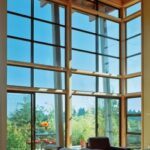 This window glass buying guide explains R values, Low-E glazing, high-performance window glass, and much more. 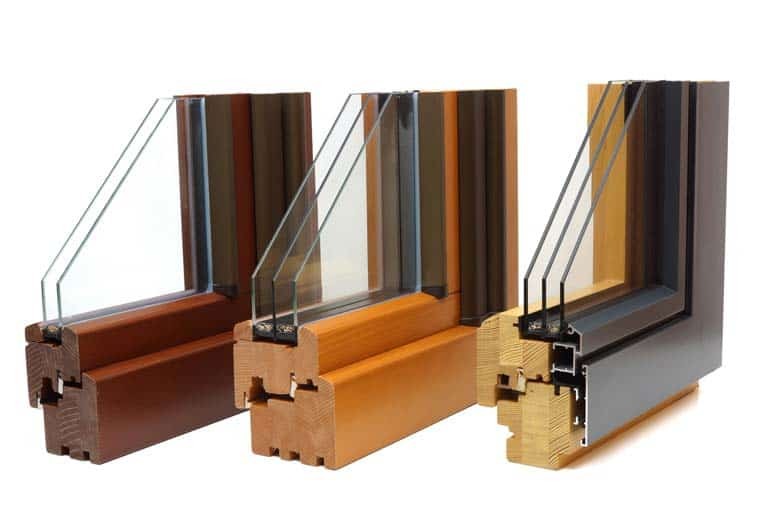 Dual and triple glazed windows provide excellent energy performance. The two windows on the left are solid wood; the frame on the right is wood inside and aluminum clad outside. Window glass is infamous for allowing heat to move far too freely between indoors and outdoors. Heat moving through windows dramatically reduces the energy efficiency of homes in both winter and summer. The biggest issue, of course, is heat loss in winter. But summer presents problems, too, as heat gain can burden air conditioning systems and glare can make rooms uncomfortable. The good news is that many new types of high-performance window glazing have been produced in recent years, making possible the use of glass without the accompanying severe heat loss, heat gain, glare, and other problems. This window glass buying guide will help. The basic measurements of performance are R-values and U-values. In addition, other measurements include a “light-transmittance” value that rates how much light the glazing allows, and a “shading coefficient” and “UV value” that measure the amount of glare and ultraviolet light allowed through the glass. Talk with a window dealer about the specific properties and values available. R-value. Thermal resistance—the ability of a material to resist heat flow—is measured by an R-value. The higher the R-value, the more the material resists the movement of heat. 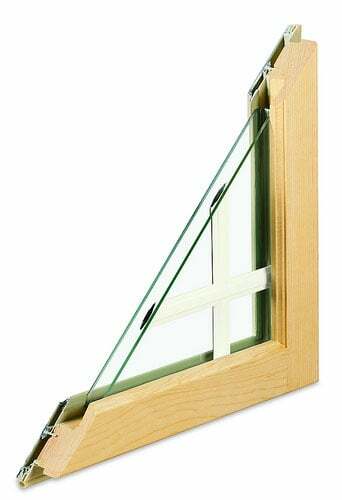 A single-glazed window offers an insulating value of about R-1, a dual-glazed model provides twice the value at R-2. The type of glass is the most important factor when it comes to R-values. You can buy even more effective high-performance glazing. U-value. This applies the factor of time to the heat-loss measurement. U-values measure heat that escapes per hour through a window. Windows typically have two U-values: one for the glass and one for the window, including the frame. The lower the U-value, the more energy-efficient the window. Generally speaking, if you want to minimize heat transfer, pick high-performance glazing that has a high R-value. For maximum light, choose a type with a high visual light-transmittance value or, to cut glare, with a lower light transmittance value. To cut heat gain, select glazing with a high shading coefficient. Glazing with a high UV value will block nearly all furniture-fading ultraviolet rays. Basic insulating glass may have two or three panes separated by an air space. Dual-glazed have become the standard for performance; triple-glazed windows are, of course, better performing but are relatively expensive and heavy to handle during installation. 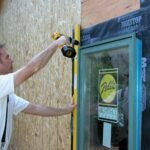 Low-e & insulating glass. This type of glass has a virtually invisible metallic coating that blocks radiant heat transfer and protects carpets and furnishings from fading by reducing damaging ultraviolet rays from the sun. 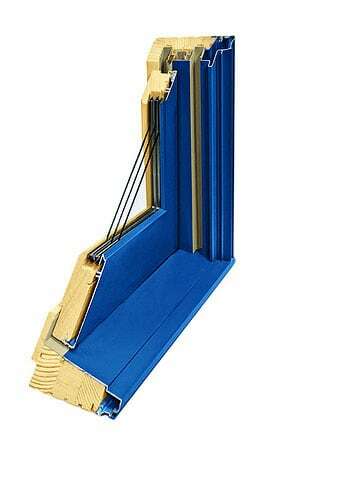 “Super” windows have two low-e coatings to achieve incredibly high R-8 insulation values. Even more efficient insulating windows have argon gas, a natural, colorless, non-toxic gas that is sealed between glass panes. Insulating low-e glass filled with argon gas has about twice the insulating qualities of standard dual glazing. Tinted glass & reflective glass. Tinted glass can significantly reduce heat and glare from direct sunlight and cut ultraviolet (UV) rays that can discolor furniture, carpets, and floors. It does this by absorbing the inbound solar radiation. Tinted glass is, as its name suggests, darker than clear glass. Because of this, it slightly reduces the amount of visible light. Several different colors and shades of tints are available, and each has a slightly different effect. A gray or bronze cast, the most common tints, cut down on heat and light equally. Windows with blue and green tints, on the other hand, allow in a little more visible light. Black tints absorb more light than heat. Like tinted glass, reflective glass reduces solar gain. From outside, it appears to be a mirror. Because tinted glass absorbs only a small percentage of light, it does not have the same mirrored appearance. Beware of blocking too much light. If you do, your energy bills are likely to go up as your home will require more artificial lighting. If you have existing clear glass windows but want the heat- or UV-blocking benefits or the privacy offered by tinted windows, be sure to investigate window films. These thin plastic sheets, which you can easily apply to windows, can dramatically improve the performance of your window glass. Various types of window tint films are intended for blocking heat, blocking UV rays, or simply offering privacy. For more information, see Window Film. Stained glass adds a brilliant decorative touch. Check with your local codes regarding requirements. Safety glass may be tempered, laminated, or wire-reinforced. None of these will shatter when broken. Tempered glass, for example, will crumble when broken. Laminated or wire-reinforced glazing is held together by its internal layer of plastic or wire. Specialty glazing. 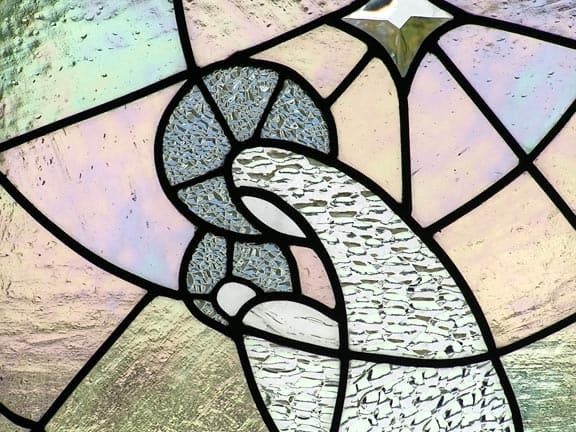 Of course, you will find decorative possibilities, too, including etched, beveled, leaded, stained, and many other ornamental glazing materials. You can even buy glass that has a hydrophilic coating to help shed water more quickly, which basically turns a rainstorm into a window cleaning. Impact-resistant windows are now available to protect your home and family from wind-blown objects and the local little league all star. Divided lites. Multi-paned windows may have either faux or real divided lites (panes). These are a good choice in homes with a traditional architectural style. Those with real muntins (divisions between glass panes), though authentic, are considerably more expensive and a little more difficult to clean than the ones with snap-in wood grilles. You can also buy windows that have integral shades or dual-glazed windows with mini-blinds positioned inside, between the glass panes. These are great for rejecting glare and heat gain on hot, sunny afternoons.